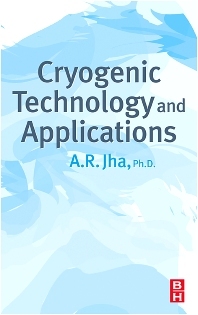 Cryogenic Technology and Applications describes the need for smaller cryo-coolers as a result of the advances in the miniaturization of electrical and optical devices and the need for cooling and conducting efficiency. Cryogenic technology deals with materials at low temperatures and the physics of their behavior at these temps. The book demonstrates the ongoing new applications being discovered for cryo-cooled electrical and optical sensors and devices, with particular emphasis on high-end commercial applications in medical and scientific fields as well as in the aerospace and military industries. This book summarizes the important aspects of cryogenic technology critical to the design and development of refrigerators, cryo-coolers, and micro-coolers needed by various commercial, industrial, space and military systems. Cryogenic cooling plays an important role in unmanned aerial vehicle systems, infrared search and track sensors, missile warning receivers, satellite tracking systems, and a host of other commercial and military systems. Mechanical engineers working in cryogenics and low temperature material's behavior. Electrical Engineers working in cryo-cooled sensors and optics. Graduate students in mechanical, electrical and optical engineering.